I’ve seen this question pop-up on message boards and comment sections quite often and it usually leads to an unfair, collective bashing of all electric shavers. And I say unfair because in the vast majority of these cases, the culprit for the sub-par performance of the shaver can be objectively pinpointed and addressed. The typical scenario involves a recently bought electric shaver that fails to perform as expected: hairs left behind, not shaving close enough, razor burn and so on. Quite often this also happens to be the user’s first experience with an electric razor, but that’s not always the case. So if your electric shaver doesn’t shave, there can be few factors at play. Let’s check them out and see what we can do. 1. Your shaver is just plain bad. I know this sounds pretty blunt and radical, but that’s the main cause in most of these my shaver doesn’t shave situations. There are a plethora of electric shavers out there: different types, different manufacturers and different price categories. And some of them simply perform poorly. For example, I mostly had bad experiences with Remington shavers and in a recent review I came across the worst performing Panasonic I have ever used. And Panasonic is probably my personal favorite manufacturer, but this only goes to show that one should always evaluate specific models or at least a series and not the manufacturer as a whole. The Panasonic ES-SL41-S gets two thumbs down. There are simply better shavers out there for the same money. In this case, my recommendation would be to return the shaver and buy a better one that will better suit your beard/skin type and shaving habits. You can check out our reviews section to get you started. Which Electric Razor Gives the Closest Shave? What’s The Best Affordable Electric Shaver? 2. Your technique is not on point. 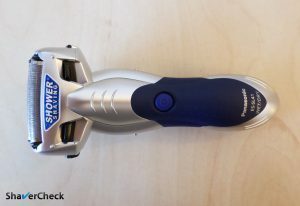 If you’re just starting out with electric shaving, don’t be so quick in judging the performance of your electric razor. Electric shaving is completely different from traditional shaving, be it with a cartridge, safety or straight razor. Your skin also needs time to adapt to the new shaving method. Assuming your shaver is suitable for the job, some prep work and a few technique adjustments can really transform your shaving experience. 3. Your facial hair is too long. All electric shavers, even high-end models, perform best when your facial hair has a reasonable, manageable length. Also, entry-level electric shavers are best suited for shaving daily, when the stubble is short, while the more advanced ones can handle longer hairs decently. But if it’s too long, the shaver can pull and yank the hairs and will also miss some of them, particularly the ones that lie flat on the skin. Attempting to go over those areas multiple times while applying more pressure will likely result in discomfort and more frustration. A solution would be to shave more often or to use a regular trimmer beforehand and reduce the length of your beard. Also, some electric shavers are better than others at shaving longer, flat-lying hairs. You can read more about them here. 4. You’re using the wrong shaver for your beard type. Even if your shaver is of high quality and you bought it based on other men’s experience with that particular model, it may still not be the right one for you. And I’m not strictly referring to the foil vs rotary decision. For example, there are foil shavers that are better suited for coarse, thick beards than others. Some work better for sensitive skin. Others can handle longer, wiry hairs better. 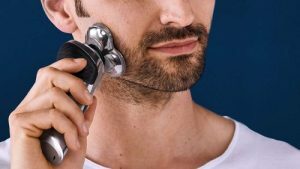 A good place to start in picking the right shaver is our in-depth electric shaver buying guide and our recommended shavers chart. 5. You need to clean and lubricate your shaver. Finally, if you went through the checklist until this point and your shaver fails to perform as it used to, it’s time to show it some love. Hair clippings, dirt, dead skin or lather buildups can seriously impact the performance of a shaver. Depending on how you use your shaver (wet or dry), you may need to thoroughly clean your shaver more often. This of course doesn’t apply to the ones that come with an automatic cleaning station — assuming you’re using it regularly. 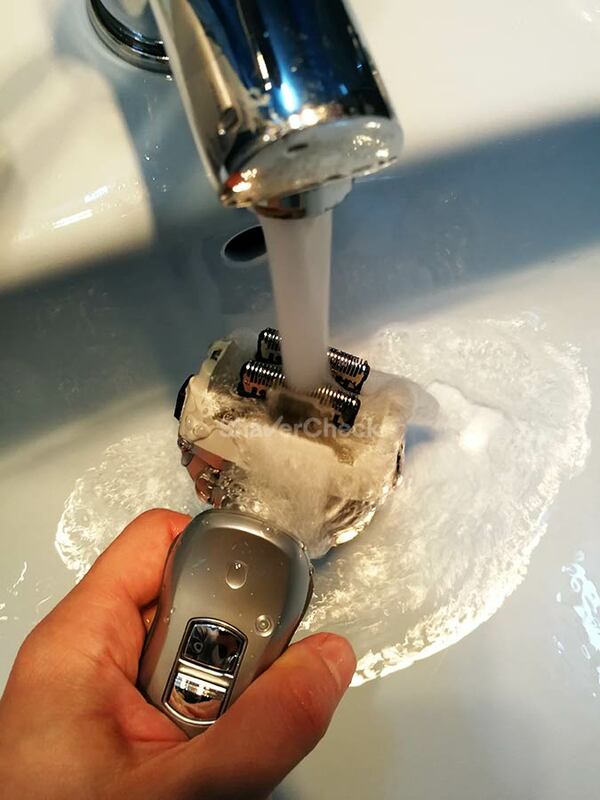 Most modern electric shavers can be safely cleaned with liquid soap and warm tap water. Just make sure to always follow the manufacturer’s recommendations for cleaning. You will also need to lubricate your shaver on a regular basis. You can use either a light oil (like clipper oil or sewing machine oil) or a spray cleaner & lubricant. Here‘s how and when should you do it. Depending on a few factors like shaving frequency, coarseness of the beard and the quality of your shaver’s foils and blades, you may need to replace them more often. If you notice a significant drop in performance and shaver has a tendency to pull on the hairs, you should definitely buy new ones. Regardless of your preference, all shaving methods have their pros and cons and you’ll be making some compromises either way. However, a radical stance resulting from a bad experience will certainly not help you in finding the cause of the problem and addressing it. In the case of electric shaving, most of the time it’s just a matter of choosing a suitable electric shaver and making a few adjustments to your technique. Hopefully this post will help you improve your shaving experience with an electric razor and actually benefit from what they have to offer compared to traditional shaving: speed, comfort, and an adequately close shave. You have accidentally activated the travel lock on your Series 5. To unlock it, press and hold the power button for 5 seconds.